The Tribal ring is a statement ring in 18 Karat Gold and sterling silver, inscribed with the words “حبيبى يسعد اوقاته” (Wishing you joyful times my beloved). The ring is adorned with champagne and white diamonds, available in three gemstone options: Grey Pearl, Rose Pearl, White Pearl. Part of the Wonders of Nature 2017 collection from Azza Fahmy, here the designer takes a deeper gaze into the eyes of the flora and fauna which inspired her first Wonders of Nature themed collection. This latest incarnation is inspired by the magical wilds of the jungle, with Amina Ghali, head of design, taking a look at the darker side of nature, its diversity and imperfection. 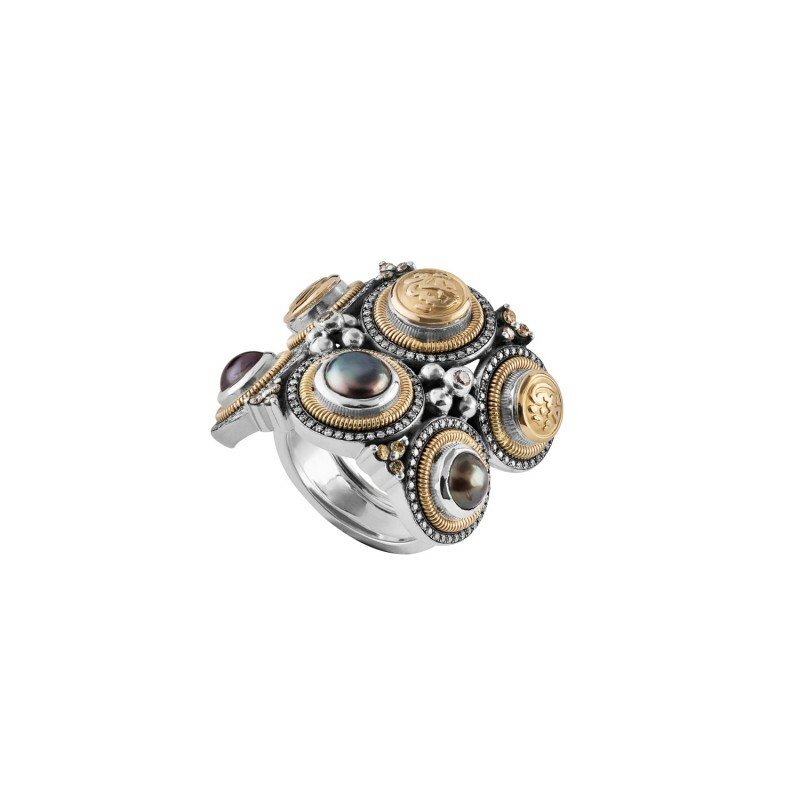 Egyptian born contemporary jewellery designer Azza Fahmy trained at the Faculty of Fine Arts.